Each resident’s room is large enough to bring in their own furnishings from home and have the space to visit privately with family and friends. All suites include a private half bath, and some also include a private shower and kitchen area with a sink and small refrigerator. Multiple communal areas connect the private rooms, giving a true sense of home. 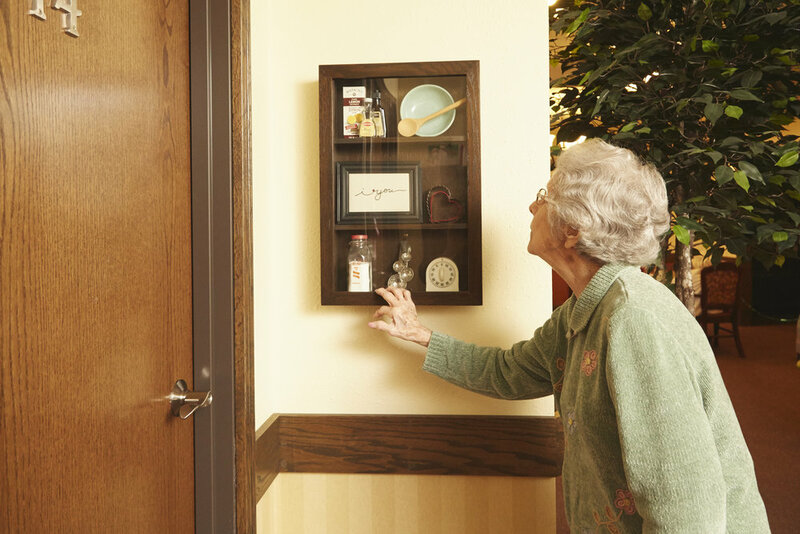 A memory box outside every resident's room serves as a reminder for them and a conversation piece with visitors. Specialized features include a state-of-the-art monitoring system, circular hallways, soft lighting, appropriate interior design and a secure outdoor walking and socialization area.